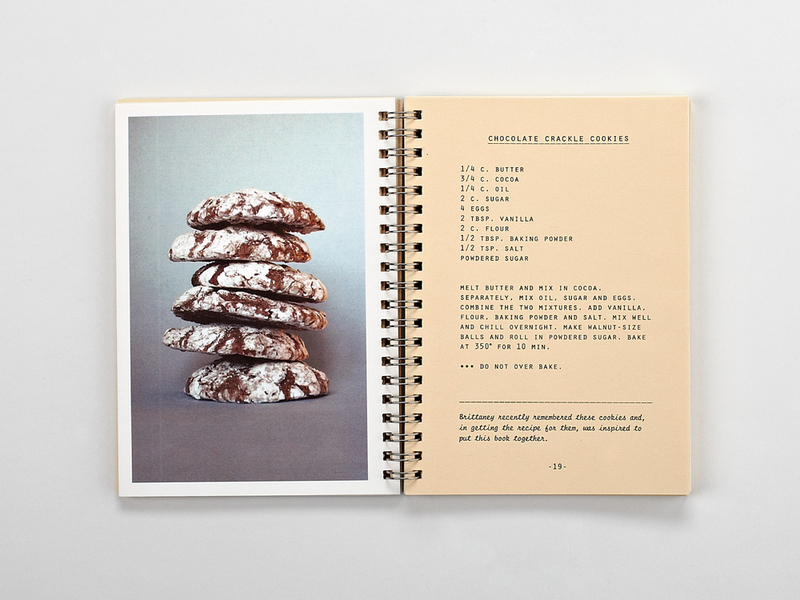 A couple of years after our mom passed away, my sister and I produced a limited edition cookbook with some of her recipes as a family gift. 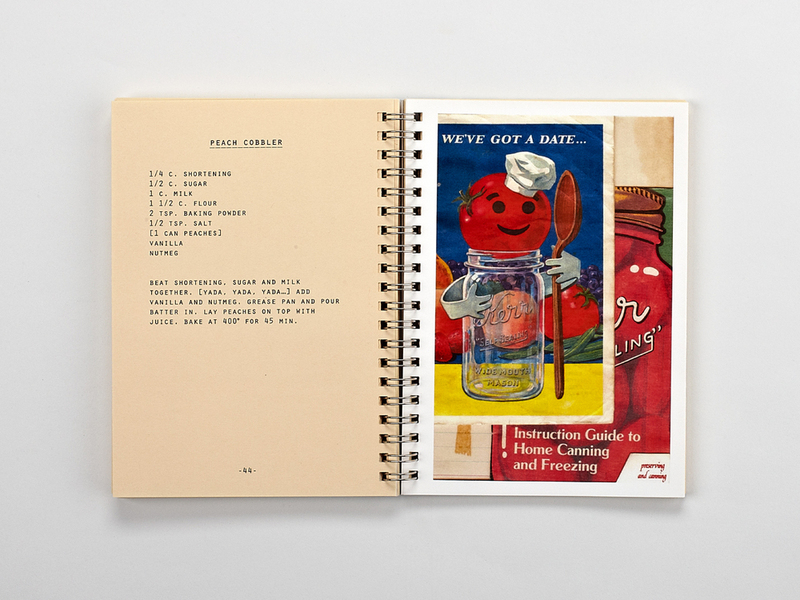 The covers feature graphics from the kitschy metal box that the recipes were stored in. 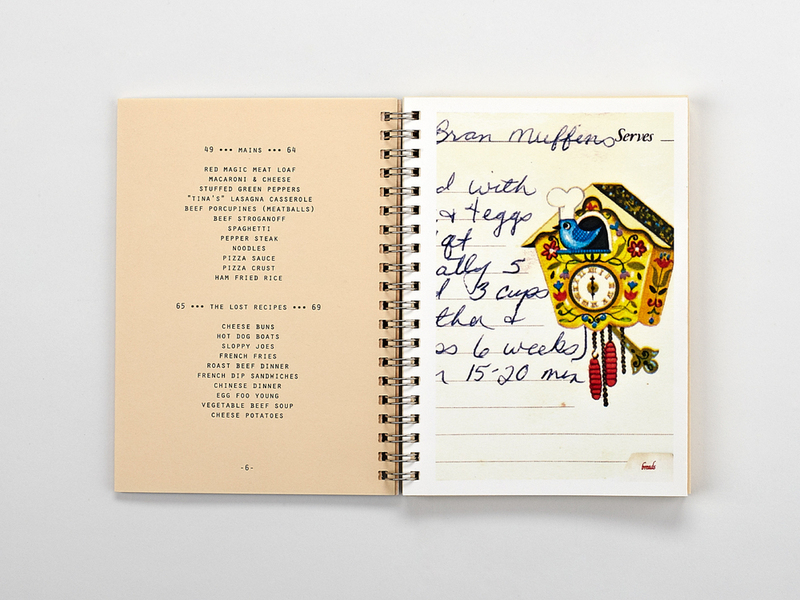 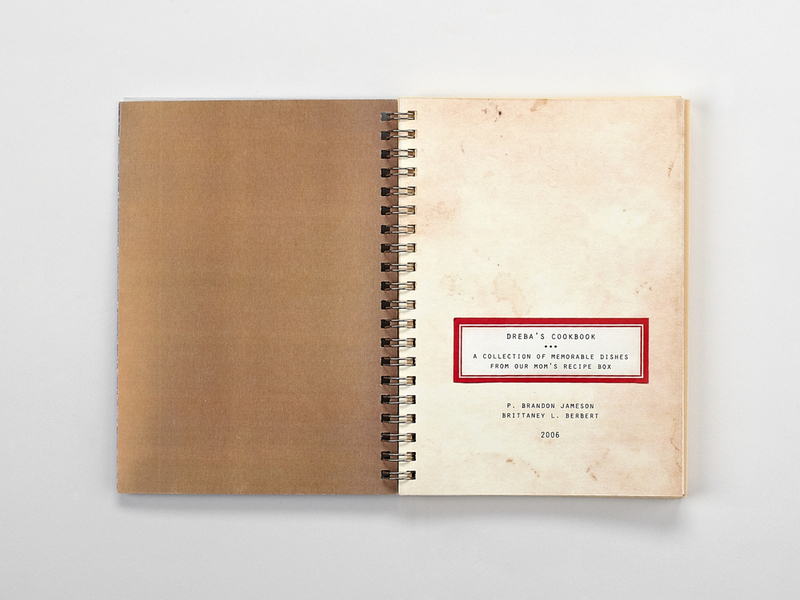 Various scraps found in the box appear throughout the book along with photos of prepared dishes and typography inspired by a vintage typewritten recipe book.